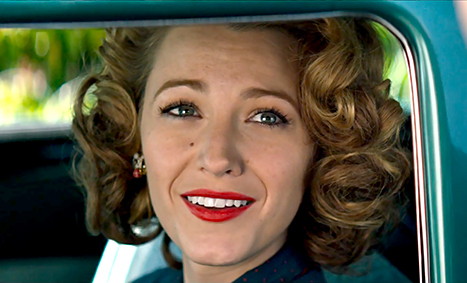 Romantic drama with the merest hint of sci-fi, starring Blake Lively, Harrison Ford and Michiel Huisman. In a story reminiscent of both The Time Traveler’s Wife and The Curious Case Of Benjamin Button, Adaline Bowman is a bit of a freak. I don’t mean that disparagingly – far from it, in fact: she’s a perfectly lovely and ethereally beautiful woman, but she also has a secret : she never ages. 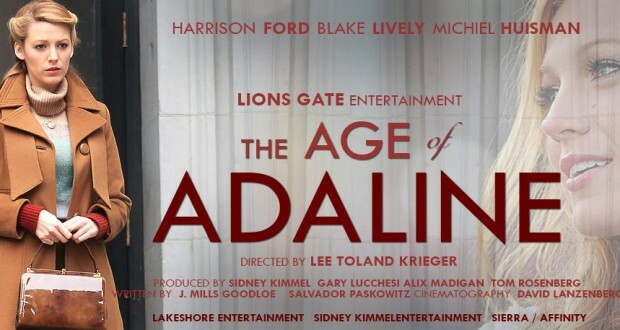 With a noirish voice-over setting the scene from the start, The Age Of Adaline actually feels out of time itself in the sense that it feels like a fifties movie to me. 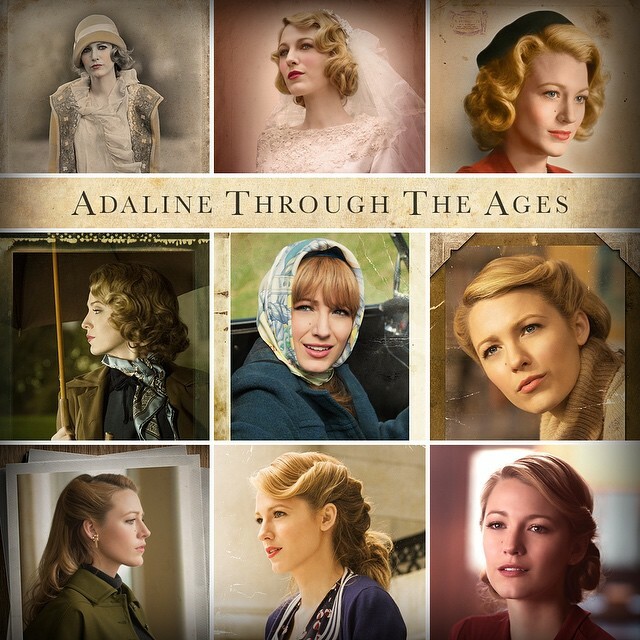 It’s actually set in the present day for the most part, but the retro flavour of Adaline’s journey is ever-present throughout. Following a unique accident involving a near-death tussle with both drowning and being struck by lightning, she slowly begins to understand her condition and takes the decision to move on every ten years or so to avoid raising suspicion. From showing us the basic premise of the plot, the picture then revolves around the practicalities of living a life like that : aliases, fleeting love affairs, running from the authorities, moving home, starting over and generally living several lives in one lifetime though never actually having one to call your own. The logistics of her situation are dealt with flawlessly and you feel drawn into her world fairly quickly, at times sympathising with her for handling things so badly, while at others hating her for upping and running every time someone she might be able to trust comes along. One such someone is a young Harrison Ford, quite uncannily portrayed here by the relatively unknown Anthony Ingruber. The resemblance is astounding and sets up the second half of the movie beautifully. Without giving too much away, Adaline and her daughter slowly begin to change roles due to the latter’s declining health from, of course, growing older herself. Realising she won’t be around forever but her mother seemingly will, she tries to persuade Adaline to take that chance, to make a life with someone … to make a life for herself. 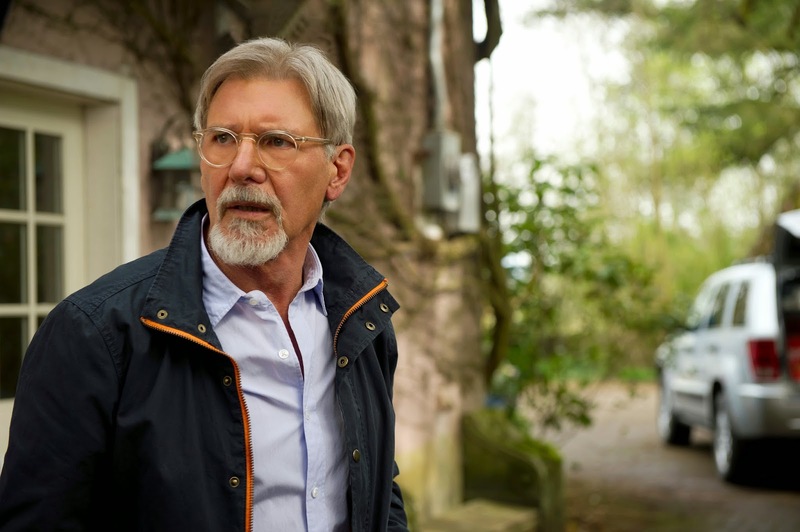 Fate throws her together with wealthy philanthropist, Ellis, and though she tries hard to resist, respecting her daughter’s wishes she begins to let him in when just at the crucial point she might actually reveal her darkest secret, something happens … and it involves Harrison Ford’s character, William. To tell you anything more would be to spoil the whole movie so I won’t, but there’s plenty more juice to be wrung out of this particular plotline. 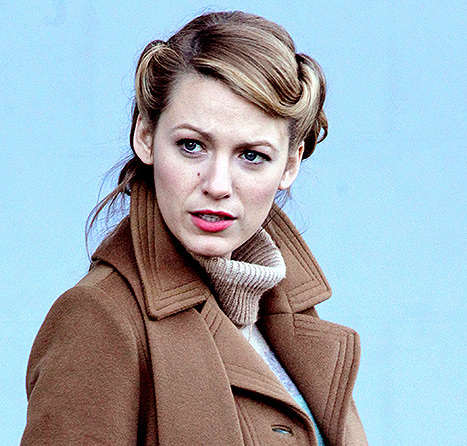 Age Of Adaline is a beautifully rendered movie, with lots of faithful period details. Fashion spotters especially will have a field day here, as Adaline not only relocates every decade, but generally gets a makeover to match. My one criticism of the film is that the ending could’ve been better and that’s not the first time I’ve written that this week. I’m not one for deliberately off-beat, curve ball endings that don’t make any sense, but then I’m also not overly fond of schmaltzy, Hollywood, almost Disneyesque, final scenes either … you’ll have to watch it to find out which it is, though. This entry was posted in blogging, Fashion, Media, Movies, Opinion piece, Review and tagged 30s, 40s, 50s, 60s, Age Of Adaline, Benjamin Button, Blake Lively, drama, fantasy, fifties, forties, Harrison Ford, love, love story, retro, romance, sci-fi, science fiction, sixties, thirties, thriller, time travel, vintage by rigger67. Bookmark the permalink.